At Silver Service Limousines, we understand that your wedding is an extremely important occasion, likely to be one of the biggest events of your life. To help you and your wedding party arrive in ultimate style and elegance, we offer a wide range of wedding limousines and other luxury cars for hire, complete with chauffeur drivers so you can focus on the event at hand. We offer wedding limo hire to cater to every budget, so no matter what the size or scope of your ceremony, we have got something to suit. 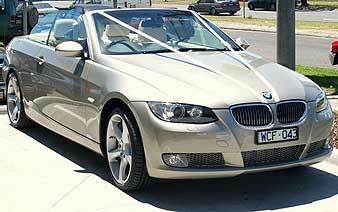 We also provide a range of car hire packages to accommodate all the people you need to move, plus a variety of extra touches to help make your special day in Melbourne even more special. In addition, we will take photos throughout the trip and afterwards send you upto 80 pictures on a disk. You will be able to view these pictures on your television or computer, with the option to also print them if you wish. Please note, however, that this service should not be substituted for a professional photographer.